The eyes have a tremendous impact on appearance. Unfortunately, the eyes are often the first place to show signs of aging. Skin around the eyes is half as thick as the rest of the facial skin, has fewer oil glands, and weaker internal support. The anatomic differences, combined with heredity, sun damage, stress, fatigue, and a lot of exercise, make the eyes “the first to go.” That is why a range of people, young and old, men and women, can benefit from eyelid surgery (blepharoplasty). Eyelid surgery is designed to remove bags, pouches, and excess skin from under and over the eyes. Signs of aging can be reduced to create a more rested and energetic appearance, while “hooding” of the upper eyelids—in which lax skin above the eyes droops into your line of vision—can be corrected. Eyelid surgery has grown tremendously in popularity as men and women realize how small improvements in the eyes can create a powerful result and achieve a more youthful appearance. Depending on your desired look, eyelid surgery may involve removing excess skin, tightening skin laxity, repositioning pockets of fat, or some combination of all these techniques. With this procedure, plastic surgeon Dr. Scott Miller can improve telltale signs of exhaustion and age in the eyes and provide naturally beautiful results. Yielding results that look elegant and natural, Dr. Miller takes great care to place incisions discreetly within the lower lash line or along the natural crease of the eyelid. These characteristics often make a person seem older than they actually are, or constantly tired and stressed. If you wish to invigorate your appearance, eyelid surgery can serve as a solution to rejuvenate and refresh the eyes. 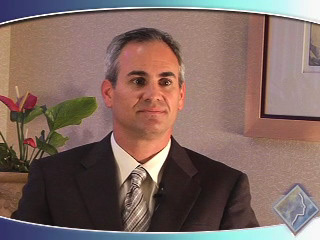 A consultation with Dr. Miller can help you learn whether eyelid surgery is an ideal treatment for your cosmetic goals. During your consultation, Dr. Scott Miller will perform a physical examination of your eyelids and facial structure to determine if you are a good candidate for eyelid surgery. Dr. Miller will also review your medical history and discuss any pre-existing ophthalmologic conditions you may have (including glaucoma or dry eye). If you are a good candidate for eyelid surgery, Dr. Miller will thoroughly discuss your expectations and then design a customized treatment plan around your unique needs and reasons for surgery. How is the Eyelid Surgery Procedure Performed? Eyelid surgery can either be performed on the upper eyelids, the lower eyelids, or both, depending on your particular needs. During the consultation process, Dr. Miller will recommend a treatment plan that can best address your concerns. Eyelid surgery typically takes one to two hours to complete; however, this will depend on the individual treatment plan. In some cases, Dr. Miller may recommend combining eyelid surgery with an additional procedure to achieve the patient’s overall goals. For example, a brow lift (forehead lift) can be performed to minimize signs of forehead wrinkles and raise sagging eyebrows. Non-surgical procedures like our facial filler treatments can also be excellent complements to eyelid surgery. Upper eyelid blepharoplasty is designed to eliminate excess skin over the eyes and correct the “hooding” effect that can result from sagging tissue. In addition, fine lines and wrinkles can be smoothed for a more youthful appearance. During surgery, an incision is typically made along the crease of the upper eyelid to conceal any scarring. Excess skin is excised and any pockets of fat are reshaped or removed. On the lower eyelids, this surgery is designed to tighten sagging skin, reduce excess fat bulging beneath the eyelids, and diminish the appearance of dark circles. During surgery, an incision is usually made below the rim of the lower eyelashes, which can conceal the incision line after the healing process is complete. Excess skin is excised, pockets of fat are reshaped or redistributed to fill hollow tear troughs, and the skin of the lower lids is tightened to resolve laxity. 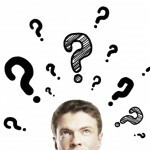 What is Recovery From Eyelid Surgery Like? After surgery, soreness can be controlled by medication and cold compresses, which can also limit swelling and bruising. Occasionally, patients may experience excessive tearing or light sensitivity. This usually responds to eye drops and should not last long. Most patients are up and around in a day or two and back to work in 7 to 10 days. Sutures are typically removed approximately one week after surgery. 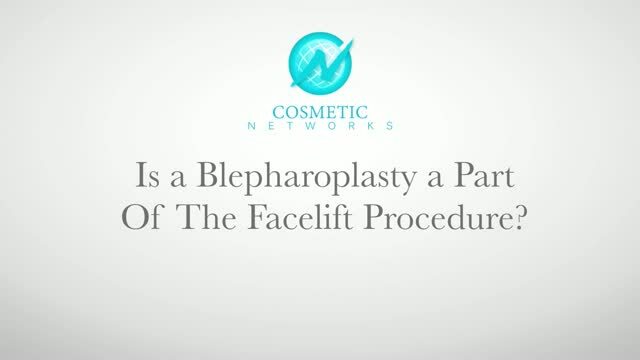 What Results Can I Expect From Blepharoplasty? For many patients who have had eyelid surgery, friends and co-workers ask them if they have been away on vacation or on a new health plan. For those whose drooping eyelids were limiting their vision, eyelid surgery can provide a widened window to the world. This treatment allows for a more refreshed, alert, and youthful appearance for many individuals. They are amazed at how a little improvement around the eyes can have such a dramatic impact on both physical appearance and self-confidence. While the aging process will continue, results achieved from blepharoplasty can be very long-lasting and typically do not require retreatment. 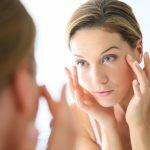 The price of eyelid surgery generally depends on many factors unique to your treatment plan, such as the extent of your concerns, whether upper and/or lower eyelid surgery is being pursued, and the surgical technique necessary to achieve your goals. In any case, our Patient Care Coordinator will be able to provide you with a personalized quote of your expenses once Dr. Miller evaluates your needs in a consultation. If you prefer to pay for your blepharoplasty procedure in installments rather than a lump sum, our practice accepts plastic surgery financing from CareCredit®. This widely used healthcare lending company can make it easier to pay for out-of-pocket treatment costs by offering qualified applicants a variety of low- to no-interest payment plans. Approved patients can simply choose the arrangement that suits their budget most ideally, thereby making any expenses from eyelid surgery more manageable. If you have any questions about our accepted payment methods, please don’t hesitate to reach out to our team today. There is currently no non-surgical treatment that can achieve the same quality of results as blepharoplasty. However, if you would like to refresh the upper third of the face and achieve a more youthful look around the eyes, you may benefit from treatment with BOTOX® Cosmetic. This minimally invasive injectable can be an excellent way to smooth forehead creases, frown lines between the eyebrows, and crow’s feet that line the corners of the eyes. While BOTOX® Cosmetic is not designed to treat lax eyelid skin, it can be used to help smooth expression lines and reduce some signs of facial aging without the need for downtime. Dr. Miller can listen to your aesthetic goals in a consultation and suggest the most appropriate treatment options to address your concerns. For more information on the eyelid surgery procedure, please contact our office today. How Long Do Results Last After Facelift Surgery? How Does Plastic Surgery for Men Differ from Women?